Stay Proactive Through Your End-of-Year Push! Feeling the year end pressure? Keep ahead of the chaos and keep your cool by staying proactive. A this time of year, it’s important to prioritize effectively and delegate to your team…it’s easy to get overwhelmed, but don’t forget training can help! This week’s featured courses are here to lighten your load. Empower your team to take action and finish the year strong! The key to hospitality is proactive customer service. Building guest loyalty and bringing in repeat business is critical to your company’s success. Teach your team the six essential rules of quality guest service through this engaging course! We’re all about being proactive! Help your team hone this skill too with the first habit from Dr. Stephen R Covey’s “7 Habits of Highly Effective People”—Be Proactive. Take responsibility for your life, quit passing blame, and change the way you respond to challenges! 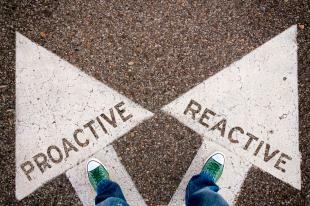 Staying proactive means staying agile! Find and activate your agile champions who can embrace unpredictability and excel at implementing complex change efforts. Ensure they’re at their peak skill level with this important and interactive course. Is your team ready to develop applications using OO techniques? This introductory course will get your employees started in this first module on “Fundamentals of Objects to Users” and create a pathway for future learning.